The Cambridge range is the perfect option for a mid-sized conservatory. Its finest features are the sweeping curves, the detailed workmanship and its comfort. 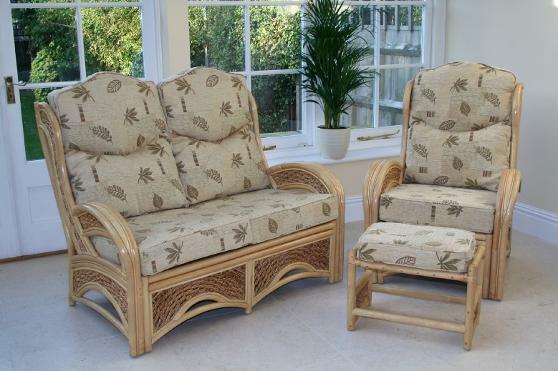 The Cambridge is constructed from finest quality rattan poles and the design work is woven with a mix of rattan core and banana leaf rope. Available in either Natural or Walnut finish, with a choice of fabrics. Shown in Natural finish with Delamere Gold fabric.